For Sound System Hire Surrey, look no further than LSC Sound & Light Hire & Events, we have a large choice when it comes to Quality Sound Systems. Our lighting and sound system rental price is the best and affordable for private or corporate customers. You can either hire a single sound and light equipment range or rent the Sound System Package Deal or make your own package. No matter the occasion, we can help with your sound hire. Our trained staff can assist you on what will be most suitable for your event, we can cover sound Systems for Parties of all sizes, Wedding receptions, Fetes or outdoor events, Night Clubs, Business conferences, after dinner speakers, Band Gigs, or any other events that need Speakers. All our speakers are high quality and you can choose the speakers depending on your size of the event or party you are holding. We have technicians who can fix any DJ or PA equipment. We use only the very best manufacturers, this then gives you the best sound quality and reliability. From QSC Audio, KV2 Audio, and Martin Audio. Most of our sound systems are powered systems which means the amplifiers are built-in into the speakers which makes setup very easy for the user, with just a plug and play installation. And our systems are straightforward to connect Microphones directly too, and very easy to connect all multimedia devices such as mobile phones, laptops, mp3 players, and iPods. Depending on the size of your venue we have large speakers and for the small venue, we also have portable speaker hire options. If you planning to buy the speakers rather than hiring, why not check out our Speaker or Lighting Sales Service. We can offer you the best deal in Surrey area. We provide same day delivery and setup service so you can have a tension-free event. We also offer delivery, setup and collection service Within Surrey and London. Please contact us for fees for this service. Our Special FX service is must have service for any indoor or outdoor parties. We have DJ with over 20 years’ experience who can spice up any parties. We also have wide range lightings for any type of event lighting hire. If you don’t have enough space at home or office, we also provide an Event Hire Service in Surrey. Our DJ Hire Service is the best DJ Hire in Surrey and surrounding counties. 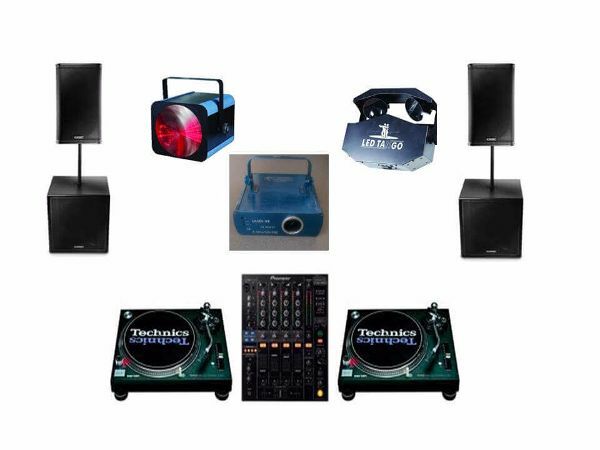 We also have all types of DJ equipment for hire. We have a wide range of wired/wireless outdoor PA system, band PA and portable PA system for hire. So, for your Sound System Hire Surrey plus Lighting effects, DJ Equipment Hire plus many more services, LSC Sound & Light Hire & Events is your best sound and light hiring company. Supplying Both Surrey and London for many years now, Contact us today for your sound & Lighting Quote.